3. DJ Rels – Don’t You Know? 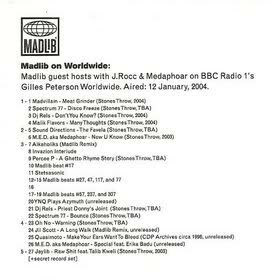 comment "Madlib – Madlib On Worldwide (CD) (2004) (FLAC + 320 kbps)"